I sometimes think I’m the only classical trumpeter who has never ‘played’ Tosca. I have not had the pleasure of being involved in a complete performance of this ‘melodrama in three acts’. 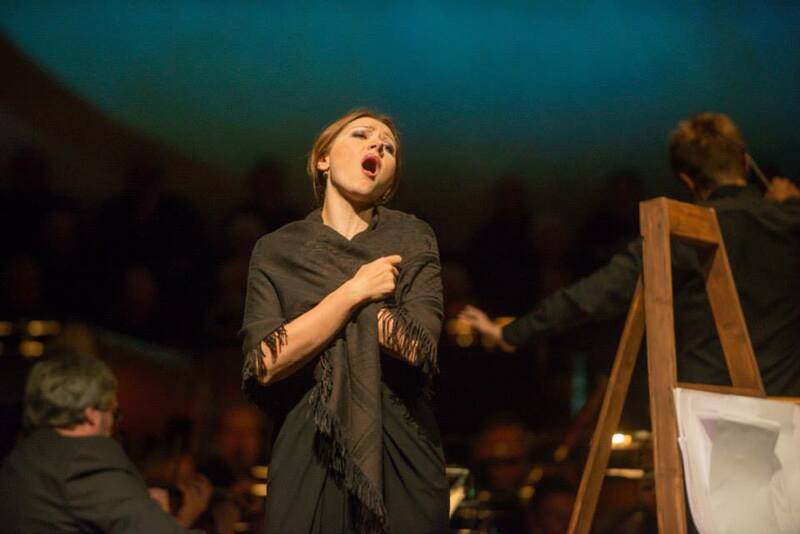 Well, that all ends tonight when the RLPO, Vasily Petrenko, the Royal Liverpool Philharmonic Choir etc take on Puccini’s fabulous dark opera tale. Rhys Owens, the trumpet section leader has taken a few weeks leave, so I get to play first too. 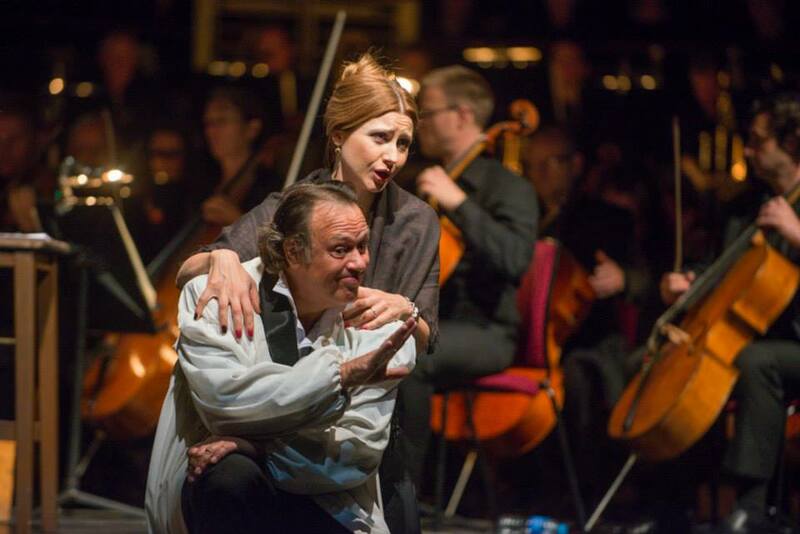 Opera singer, Tosca Floria, is played by the beautiful Viktoria Yastrebova and her lover, the painter Cavaradossi is played by Vladimir Galouzine. 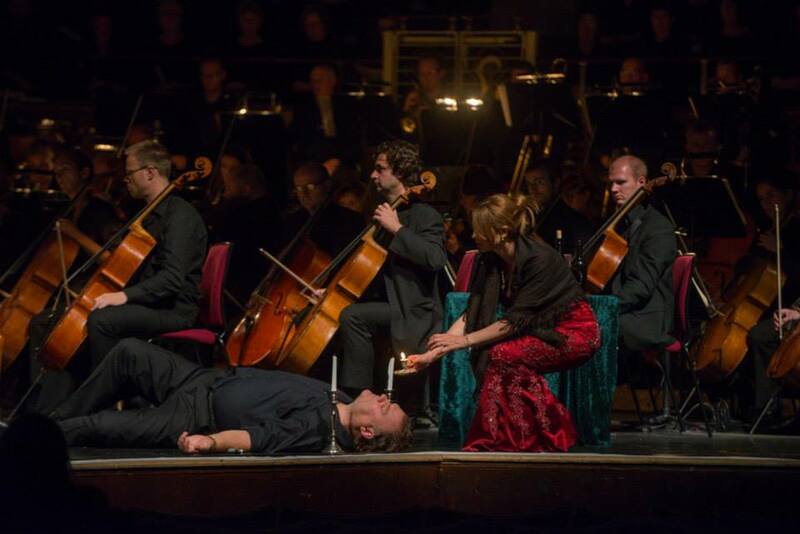 The Opera is part of our two week festival celebrating ‘The Art of Bryn Terfel’. Bryn (CBE) has been working hard during his artist in residency stint, with ‘Anight At The Musicals, some Bach Cantatas, a Brahms Requiem and all culminating in the semi-staged performances of Tosca. 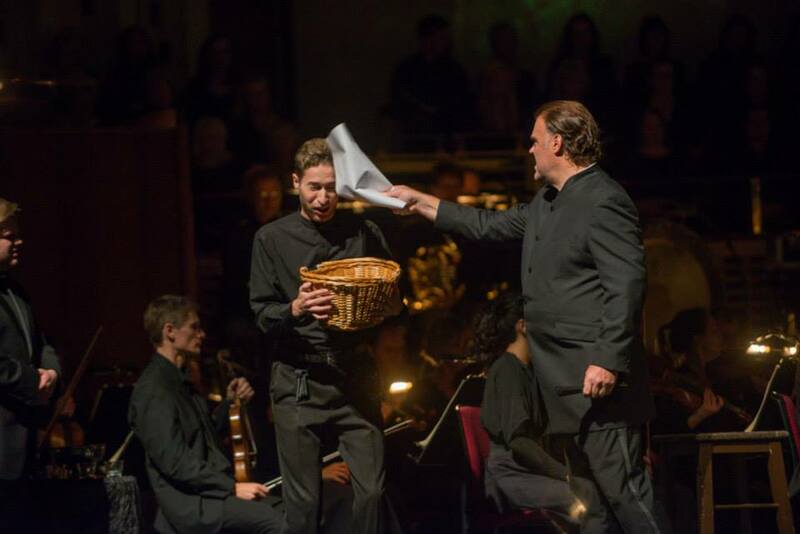 Bryn chews up the whole scenery etc as the evil Chief Of Police ‘Scarpia’, a role he has made famous at the Royal Opera House Covent Garden. His is a snarling, menacing performance, oozing malice and evil. 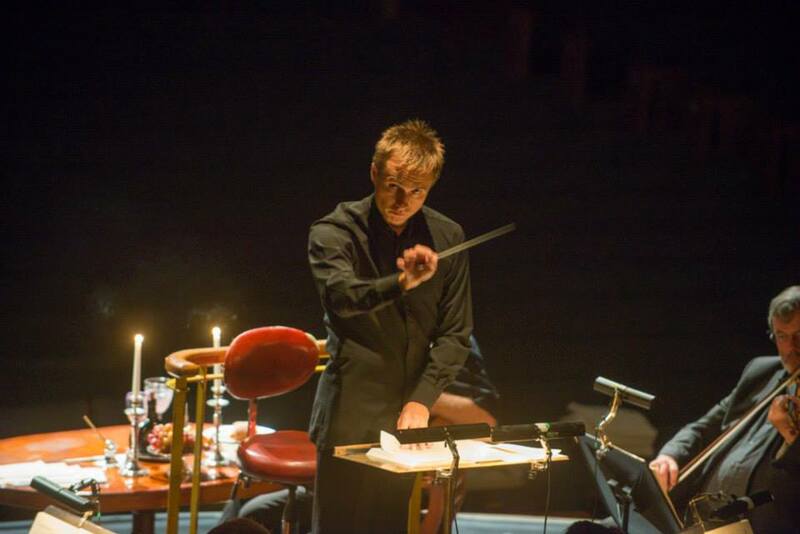 The performances will be marshalled by RLPO Chief Conductor Vasily Petrenko. 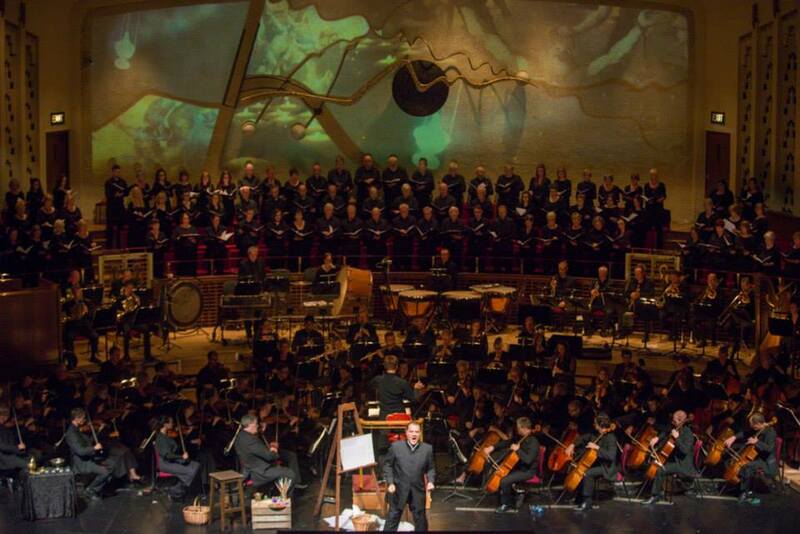 The photos are courtesy of the amazing RLPS photographer, Mark McNulty, and taken during our dress rehearsal, yesterday evening. There are apparently a few returned tickets available for tonight and one or two available for Sunday afternoon’s performance, for those who hurry. 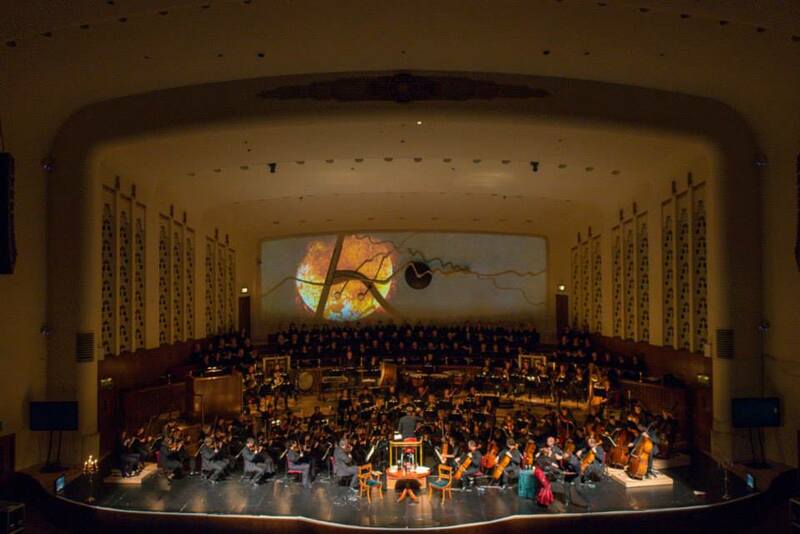 Tickets for Liverpool Philharmonic are selling fast lately! The other singers are all chosen from the European Opera Centre whilst the marvellous Royal Liverpool Philharmonic Choir are trained and directed by Prof, Dr, Ian Tracey, who is also one half of the Brendan Ball/Ian Tracey Trumpet & Organ recital duo. 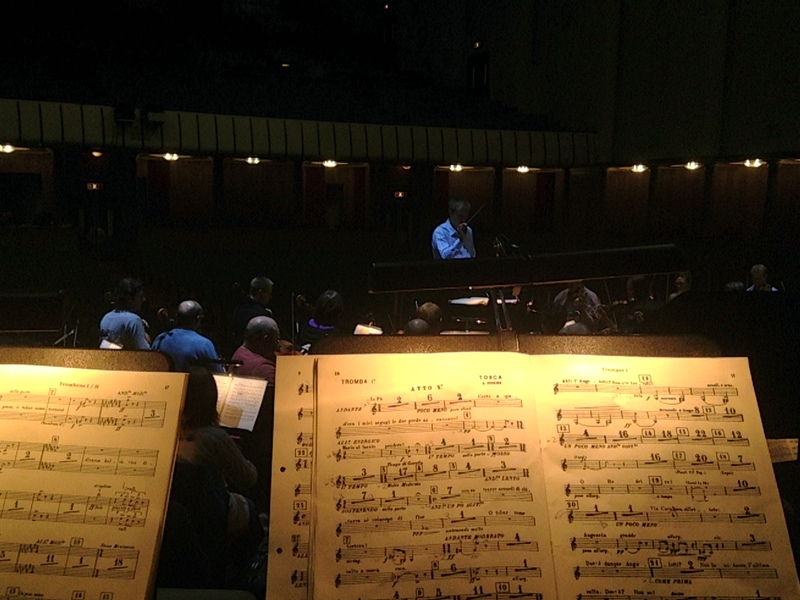 This entry was posted in The Tour Blogs & Brendan's Solo Blogs and tagged "Royal Liverpool Philharmonic Orchestra", 'Brendan Ball', 'RLPO', Bryn. 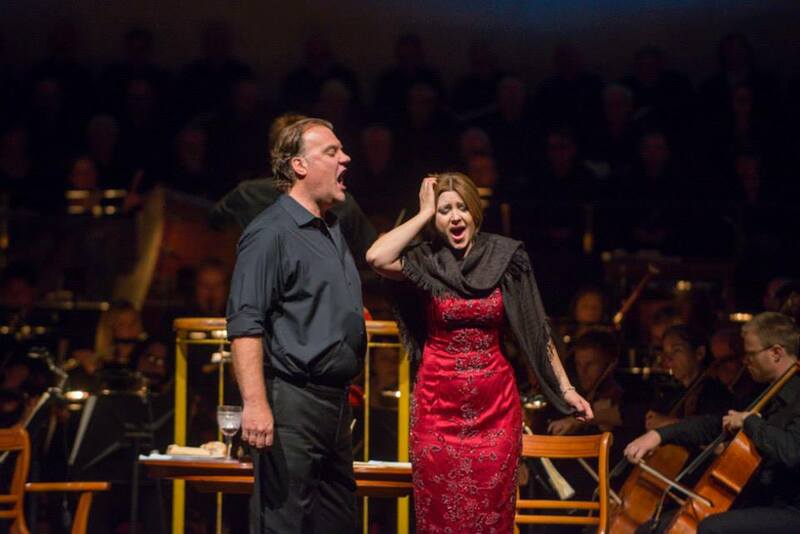 Terfel, David, European Opera Centre, fanning, Ian Tracey, liverpool, Petrenko, Philharmonic Hall, puccini, review, RLPS, royal liverpool philharmonic, Royal Liverpool Philharmonic Choir, telegraph, Tosca, Vasily, Viktoria Yastrebova, vladimir galouzine. Bookmark the permalink. Thank you for these pictures of a memorable performance this afternoon. I sat in the middle of the last row in the upper or grand circle. One of those occasions when you want the performers to experience the marvellous sound ” right at the back ” Wow!